The parties discussed issues related to cooperation in the gas sector, including the upgrading and renovation of the Kyrgyz gas transmission and distribution infrastructure. 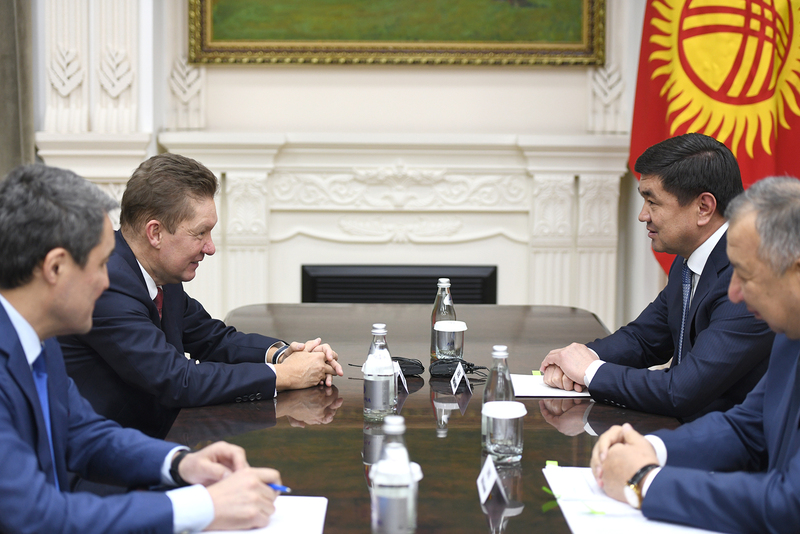 It was noted that Gazprom fulfilled all of its obligations under the Cooperation Agreement in the field of natural gas transmission, distribution and sales in the Kyrgyz Republic. This extensive work helped make gas supplies to Kyrgyz consumers much more reliable and ensure they are provided on an uninterrupted basis. The Company is making substantive efforts to expand social infrastructure in Kyrgyzstan. As part of the Gazprom for Children program, nine sports and health centers have been built across the country, with a modern school for 960 students nearing completion in Bishkek. Gazprom Kyrgyzstan, a wholly-owned subsidiary of Gazprom, is an exclusive importer of natural gas to Kyrgyzstan and the owner of the country’s gas transmission and distribution systems. Under the General Scheme of Gas Supply to and Gas Infrastructure Expansion in the Kyrgyz Republic until 2030 developed by Gazprom, the Company undertakes large-scale efforts to renovate and upgrade gas transmission, underground gas storage and gas distribution facilities in Kyrgyzstan. In 2007, Gazprom and the Kyrgyz Government signed an Agreement for geological exploration, under which the Company obtained two exploration licenses for the Kugart and Eastern Mailu-Suu IV areas. In 2013, the Russian and Kyrgyz Governments signed the Cooperation Agreement in the field of natural gas transmission, distribution and sales in the Kyrgyz Republic.